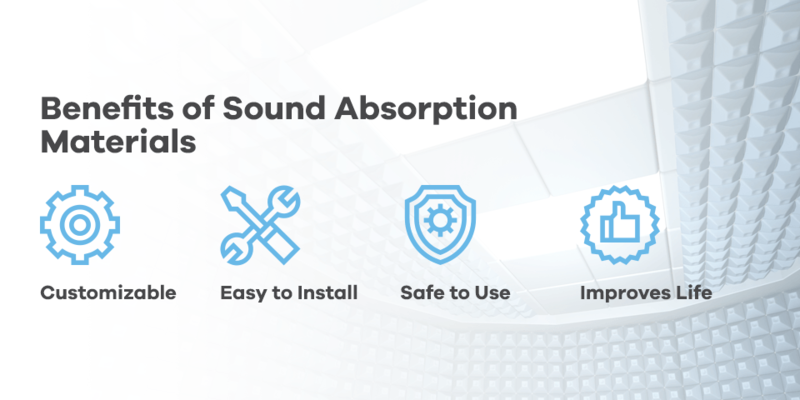 At Soundproof Cow, reducing background noise is what our sound-absorbing materials are meant to do — no matter if the sound is coming from outside, or if you’re the one who’s making it. We have a long list of noise-absorbing materials that include acoustic panels, studio foam and more. Communication is important, and we strive to help you create a setting with the least amount of disruptive background noise, improving speech intelligibility and the overall listening environment. Soundproof Cow is unique because we not only have the best sound absorption materials available, but we also do soundproofing with style. For example, we offer completely customizable art acoustic panels that add substance, style and sound absorption to any wall. We offer the best sound-absorbing materials you can find for use in your home, office, workshop, studio or any area where you want exceptional sound quality. Before we get started, it helps to understand how sound and sound absorption works. Sound waves are created by vibrations. For example, when someone sings, their vocal cords vibrate and send waves through the air to the listener. Higher frequency sounds consist of short sound waves, whereas lower frequency sounds contain long waves. Higher frequency sounds don’t bend as much around barriers and are reflected by thin materials. Lower sound waves pass through thinner materials. In general, sound loses energy as it passes through walls. Noise is unwanted sound and happens when sound is not absorbed by anything and reflects off of walls or other materials. This is why sound-absorbing materials can come in handy. You can check out and compare the noise reduction coefficient (NRC) for each of our products to get an idea of how well each material absorbs sound. The higher the NRC, the more sound a product absorbs. Sound waves will do one of two things when they encounter an object – they can be absorbed, or they can be reflected. When sound is reflected, it is sent back into the room. When it’s absorbed by a sound-absorbing material, it turns into a small amount of heat energy. Acoustics science involves finding the right balance between absorption and reflection. Imagine you’re watching a band play in an auditorium. If the entire space were covered with sound-absorbing materials, the walls would absorb too much sound and make the music sound flat. The musicians would also have to work hard not to make any mistakes. However, some reverberation would help the music ring beautifully, as long as there’s not too much echo. There’s also the matter of sound transmission from one room to another. Just like sound absorption, certain materials are better at blocking sound than others. Controlling sound between rooms is sometimes referred to as sound insulation. What Are the Best Sound Absorption Materials? Sound absorbing materials are meant to improve the quality of sound within a room by controlling sound reflections. The desired effect is to reduce unwanted noise like echoes or high-pitched laughing. Sound-absorbing materials can help musicians find greater satisfaction with their music, or help students stay focused when they’re studying in the library. Sound absorption is useful in many different commercial and residential settings. How do you know which material is best? Let us help you decide. 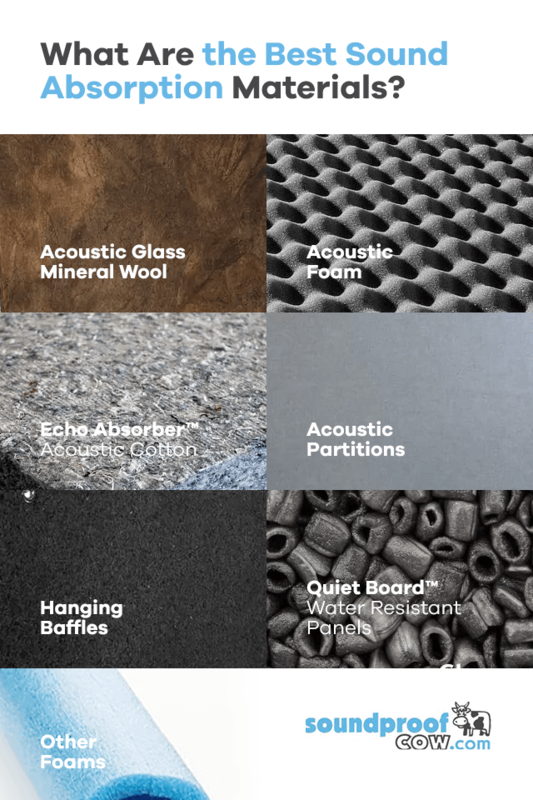 We put together a quick, convenient list of our best sound-absorbing materials, so you can learn more and choose the perfect material for your soundproofing needs. Convoluted acoustic foam panels: Our classic convoluted acoustic foam panels are ideal for recording studios or band practice spaces on a budget. These panels feature an egg crate design for excellent sound-absorption performance. Each standard sheet is 1-inch thick and offers 32 square feet of coverage in an attractive charcoal gray color. One-inch panels provide an NRC of 0.65. Polyester film-facing panels: Made of polyurethane foam, our polyester film-facing panels are engineered to keep sound in and keep neighbors from complaining. They also provide sufficient excellent sound absorption and insulation with minimal thickness. If you want a strong, superior product for a fraction of the cost of other sound-absorbing foam materials, this is your panel. Our 1-inch panels provide a 0.65 NRC, while our 3-inch thick panels offer an NRC of 1.15. Reinforced aluminum-facing panels:Our reinforced aluminum-facing panels provide extra protection in high-heat environments and are resistant against tearing. These panels provide all of the sound-absorbing qualities of our other foam products. Acoustic foam panels in varying colors:Our flexible polyurethane foam panels come in a variety of appealing colors from aqua to pumpkin to create a place of peace and solitude. These panels help eliminate exterior noise and absorb sound within a room regardless of frequency. Our 2-inch thick panels have an NRC of 1.00. Udderly Quiet™ fabric-covered foam panels: Our Udderly Quiet foam panels ensure optimal acoustical performance in an auditorium, theater or anywhere you wish to reduce echo. These panels are highly versatile and easy to install. The fabric is easy to clean and mildew-resistant, ensuring maximum cleanliness, and are available in different colors to match the decor. Fire-rated foam panels: For use in temperatures reaching up to 482 F, choose our Class A acoustic foam. 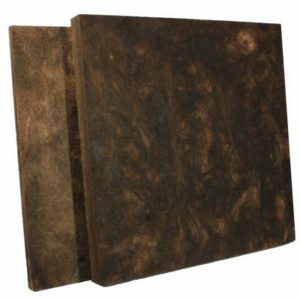 These panels are designed to absorb sound in high temperatures and are engineered with high-quality melamine foam. They are lightweight and easy to install with peel-and-place backing. These flame-resistant panels are ideal for medical facilities or anywhere that uses high-tech equipment. A 2-inch thick panel has an NRC of 0.80. Overall, these products are excellent at absorbing sounds in spaces where acoustics play a major role. They’re also among the most affordable solutions we offer at Soundproof Cow. 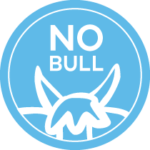 Be sure to look for our No Bull specials. Our Echo Absorber™ panels and baffles are among our best sound-absorbing materials. Made of 80-percent recycled materials, the natural fiber panels aren’t just great at controlling sounds. They’re also resistant to mold, mildew and flames, as well as suited to temporary or permanent installations. These light-weight materials are easy to install, just like the rest of our products, and they provide tremendous value for the cost. 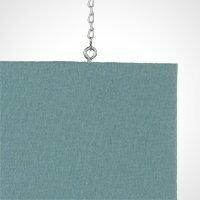 Echo Absorber acoustics panel natural blend: These panels are free of volatile organic compounds (VOCs), made from recycled cotton and are Class A rated. They can be mounted to any flat surface or wrapped around curved walls or columns to reduce reverberation. Thermal bonding makes these panels resistant to tears and impact. A 2-inch panel offers a 1.00 NRC. Udderly Quiet acoustic baffle 250 series: Our Udderly Quiet acoustic baffle features an internal aluminum frame to improve overall stability and offers exceptional acoustic performance. You can choose from a variety of environmentally-friendly covering options to add style anywhere. With a 1-inch thickness, you can expect an NRC of 0.80. Udderly Quiet acoustic baffle 200 series: Better for smaller spaces, our 200 series offers size options up to 3 feet by 6 feet. You can choose rounded or square corners. These baffles are available 2-inches thick with a 1.10 NRC. Echo Absorber hanging baffle natural series: As a cost-effective option, our Echo Absorber hanging baffles get the job done. 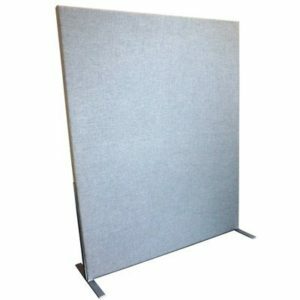 They are available in 1-inch thick 4-foot by 4-foot squares to absorb unwanted reverberation. They offer a great economical option in noisy places like cafeterias and gymnasiums. Made mostly of recycled material, these baffles are safe and environmentally friendly. Echo Absorber hanging baffle pack: You can also choose 1-inch baffles in packs of six or fourteen for an NRC of 0.85. Or you can go with an eight-pack of 2-inch thick baffles for a 1.15 NRC. Udderly Quiet Class A anechoic hanging baffles: Featuring a unique, open-cell design, these baffles are ideal for high-heat areas or where sparks may fly. These baffles are 3 inches thick, made of high-quality melamine foam and offer superior sound absorbing capabilities. Expandable foams: Our pourable liquid urethane foam allows you to fill small spaces where sound can escape or enter, helping you enjoy the sound of silence even more. 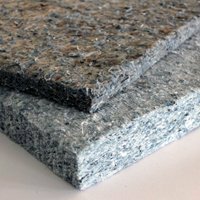 Extruded safety foams: Add safety and close sound-escaping gaps by adding foam padding to sharp edges, corners and open spaces with our selection of extruded safety foams. Packaging and shipping foams: Our packaging and shipping foams are more about keeping precious cargo safe than soundproofing. 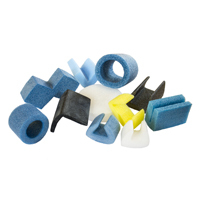 Our shipping foams are static-free and great for reducing movement and preventing crushing. There are other odds and ends you’ll find among our selection as well. 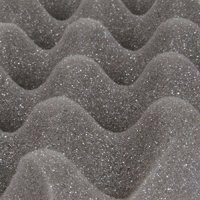 Almost any acoustic foam application you can dream of, we stock in our online store. Not sure you’re ready to experience the magic of sound-absorbing materials? Considering the following benefits, they’re probably worth trying if you want to control your noise. 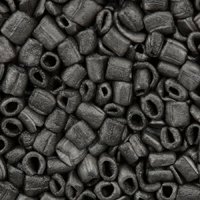 Many of our noise-absorbing materials are highly customizable to fit the look and needs of any space. For instance, acoustic glass mineral wool can be used in any number of locations — from covering walls to cutting back on noise emitted from air conditioners. They also look professional in a range of settings, so you never have to sacrifice aesthetics for noise control. Our products are incredibly easy to install, and most can be customized to fit in just about any space. For example, if you need to create a soundproof room within a room quickly, consider our lightweight partitions. Or, if you need to stick a small piece of sound-absorbing material into a noisy appliance, you might try acoustic glass mineral wool. Our products offer flexibility to solve any noisy problems without having to tear down walls or remodel a space. Fire-rated products are safe to use in almost any location where fire codes or high heat are a concern. While a bit more expensive, they allow you to safely control noise in areas like kitchens, workshops and even in appliances. Whether you need thick sheets of fire-safe sound absorption material or acoustic blocks, you can count on Soundproof Cow to have them in stock. Imagine being able to play the music you want when you want in your home studio without fear of waking the neighbors. Or picture enjoying a night of restful sleep despite the neverending commotion outside. Commercial buildings can keep workers happy and focused when they aren’t distracted by noise or small talk. Noise control makes life better everywhere. Where you are soundproofing: The first thing you need to consider is where you plan to soundproof. For example, do you want to soundproof in the bedroom? If so, you might choose acoustic panels in a soothing color. Do you want to soundproof a workout area where sweat and moisture can fly? You might be better off with a water-resistant panel. What are you trying to soundproof: Next – what exactly are you trying to soundproof? If you wish to soundproof an air conditioner, then you want to buy a material you can customize to fit into the unit. If you want to soundproof an entire room, then choose a material you can install on the walls that meet your sound-absorbing needs and your budget. What are your needs: Do you want to absorb sound or reflect it? Different products are designed to provide different solutions, so it’s important to talk to an expert and figure out your exact soundproofing needs. What look do you want: Are you going for a natural, environmentally-friendly look in your garage or workroom? You can choose a recycled material. Want custom art in addition to sound absorption? You definitely have options with Soundproof Cow. Herd of our impressive product selection? If not, we’d be surprised. We’ve made a name in the business for offering the top acoustic products available to builders, architects and homeowners alike. We pride ourselves on using the best materials available and only carrying sound absorbing materials we know are worth the investment. One of our best features is the FREE acoustic analysis. We offer customers insight into their specific situation and recommend materials to fit that space. We will inform you of all the options for soundproofing and improving the area’s acoustic characteristics. To help our customers get the very mooo-st bang for their buck, we place special items on deep discount. These products are marked by our No Bull labels and present the biggest bargains in the store. Still not sure which sound-absorbing materials are best? Let our Account Managers guide you. We’ve helped hundreds of customers find solutions for tricky noise-control issues. Our team’s advice will help you create a plan to resolve your acoustic needs. Soundproof Cow takes customer service to the next level. We’ve always gone above and beyond to meet people’s needs. Now, it’s part of our official store policy. If you run into issues with your sound absorbers, all it takes is a quick call to set things right. We’re dedicated to customer satisfaction, and we won’t stop until we’ve got it. Whether you’re in need of temporary acoustic absorbing materials or fire-safe products available in an endless number of shapes and sizes, Soundproof Cow has got you covered. Call 1-866-949-9269 to schedule your FREE acoustic analysis today.